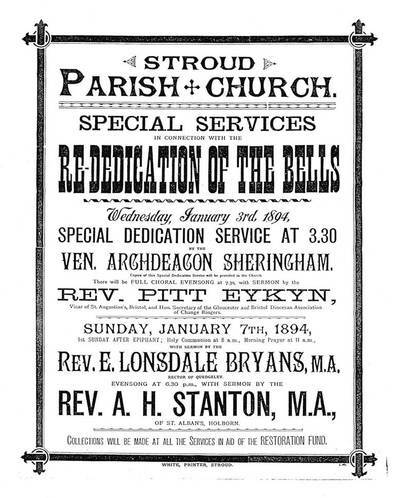 ​​The church is known to have had six bells by 1629, when five of them were recast by Roger Purdue. 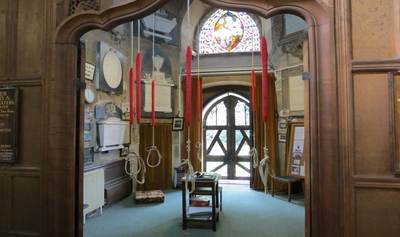 In about 1775 the tower contained eight bells, and there were said to have once been two others hanging under the smaller spire. Two of the eight had been cast by Abraham Rudhall in 1713 and 1721 respectively, and two by Thomas Rudhall in 1771. 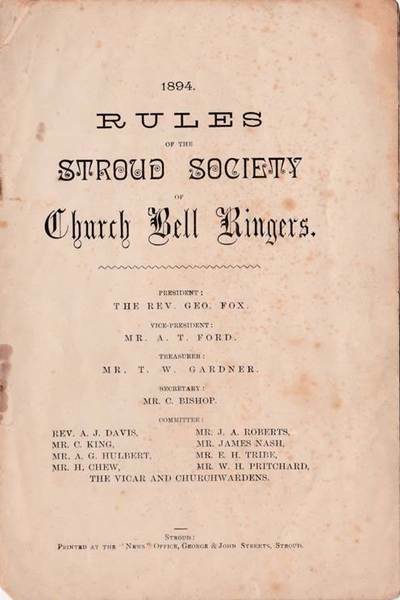 In 1814, whilst the ringers were ringing a peal, the tenor bell fell from its supports and cracked one of the other bells. Fortunately, no one was injured. 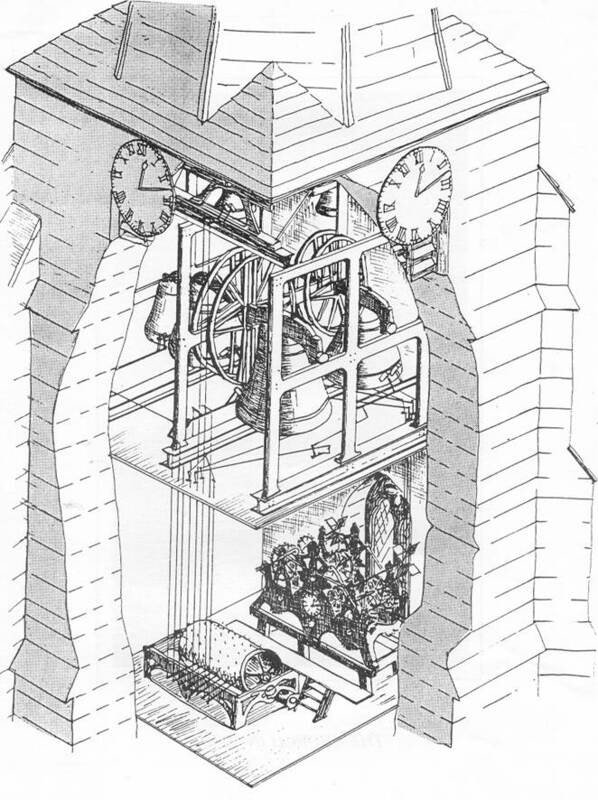 The two of the bells were recast the following year by Thomas Mears of Whitechapel, and two more were added to the peal to make the current total of ten. 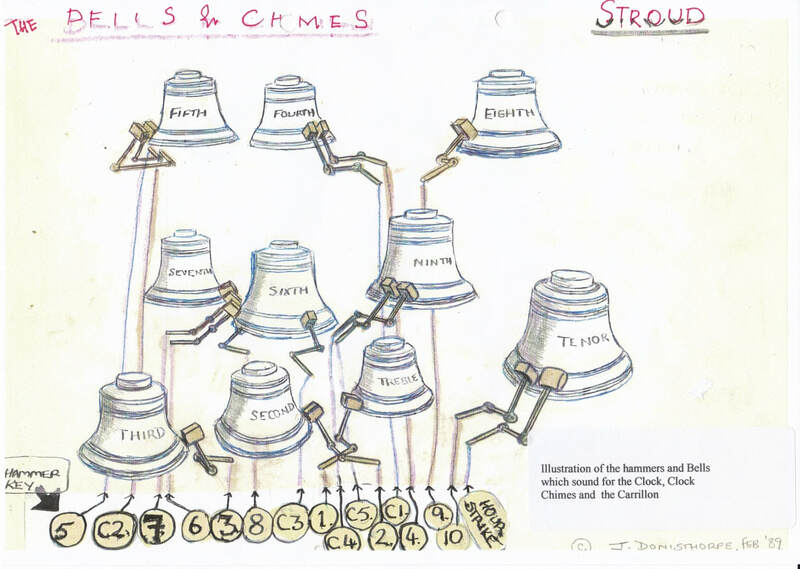 The bells were overhauled and re-framed in cast iron by Loughborough Bellfoundry in 1893. 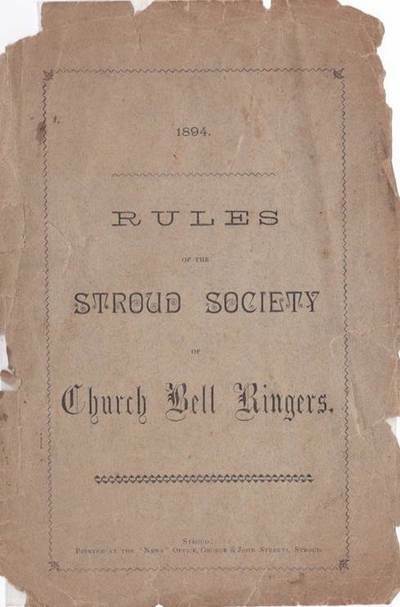 A further renovation of the bells was supported by Stroud Preservation Trust in 1989. 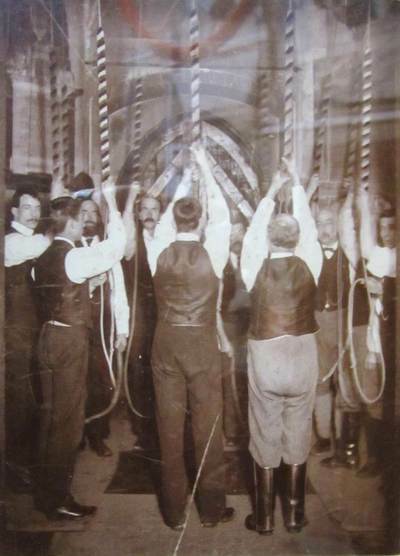 Records show that 173 full peals of the bells have been rung since 1772, the latest being in August 2015. 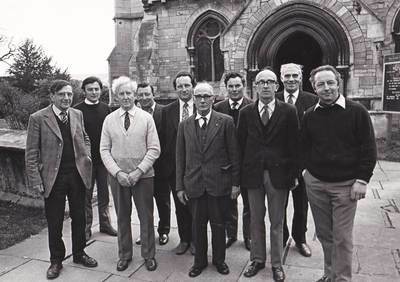 B Latham, L Barry, J Pritchard, W Pugh, W Dean, W Mills, G Orchard, C Canham and P Riddiford. 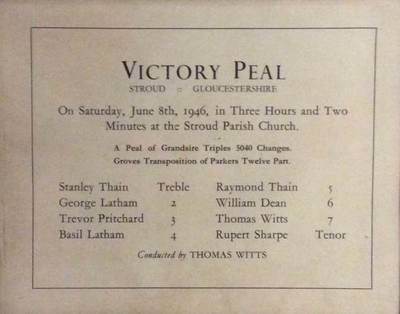 All except W Pugh are known St Laurence bellringers. 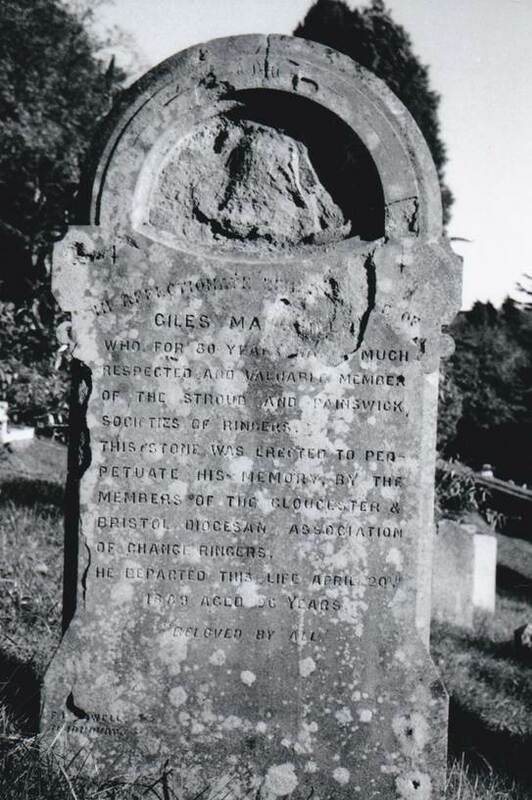 In spite of strenuous efforts, the identity of Pugh has never been discovered, nor has any explanation as to how this photograph comes to be on a church wall in Hobart, Tasmania. 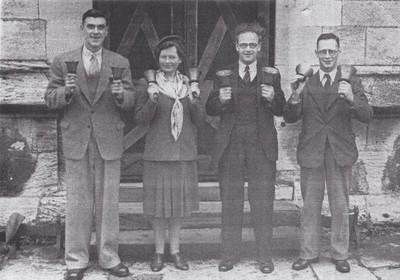 Do you want to be a member of the St Laurence Bellringers? No experience is needed, and full training will be given. 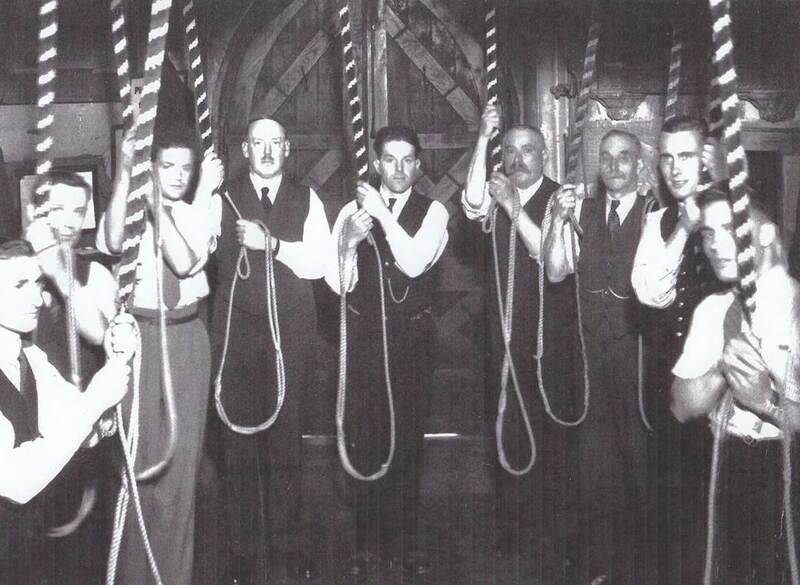 Bell-ringing practice is at 1900 every Tuesday. ​If you are interested, then please contact us, and we will put you in touch with the right people.